Students at MBS come together inside and outside of the classroom to create an inclusive community of understanding. Morristown-Beard School believes that an education for the twenty-first century is an education in interdependent cultures, ethnicities, genders, economies, and religions. Our students are encouraged to recognize that we live in a world of inherent diversity, and to imaginatively reflect on what it means to act responsibly in and upon such a world. Drawing inspiration from the freedom and values of the School’s curricular philosophy, faculty and students at Morristown-Beard School come together inside and outside of the classroom to create an inclusive community of understanding. Morristown-Beard School views its commitment to diversity as an ongoing process of community-wide education. Our students attend the Student Diversity Leadership Conference, Widening the Lens: The Far Brook School Diversity Conference, and the Trans-Youth Forum annually. Student-led groups, including GLOW (Girls Leading Our World), Spectrum (LGBTQIA+), Kaleidoscope (multi-cultural diversity club), Mental Health Matters, and Amnesty International, hold regular discussions, organize events, and engage with the broader community to address the experience of students at school and beyond. Faculty and staff at MBS are encouraged to participate in ongoing professional development opportunities to enhance their understanding of diverse perspectives, expand community-wide cultural competency, and enrich their own curricular philosophy. MBS offers community members opportunities to expand their cultural competencies through Social Justice Parent Discussion Forums, organized annually by a cohort of parents in collaboration with the Social Justice Committee. The Multicultural Collaborative Group is an MBS parent group that seeks to build multicultural responsivity and inclusion at MBS. Our parent groups all seek to advocate for strategies that promote inclusion and support diversity. At the 2019 Martin Luther King, Jr. Assembly, MBS students celebrated Dr. King’s legacy through spoken word, song, dance and video. Spectrum is a gay-straight alliance club that meets regularly to discuss LGBTQIA+ (lesbian, gay, bisexual, transgender, questioning, and intersex) topics and organize school-wide events to raise awareness and celebrate the community. Some of these events include Pride Week, Kicking the Stigma, Night of Voices, and observance of the national Day of Silence. Members of this group also participate in the New Jersey Trans Youth Forum annually. Kaleidoscope is a multi-cultural diversity club that promotes awareness, acceptance, and appreciation of diverse cultures on campus. Students gather to discuss topics surrounding socioeconomics and cultural identity. These students facilitate the planning of the annual MLK assembly. 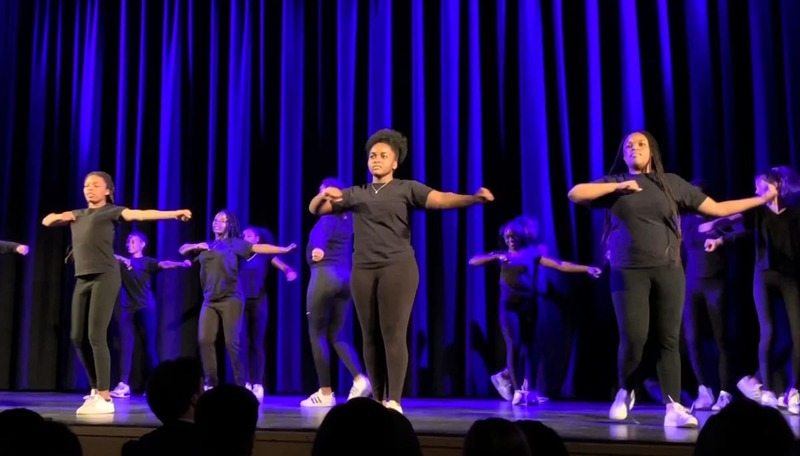 Participants in Kaleidoscope formed a step team, which regularly performs on-stage and at school sporting events. Upper School members of the group mentor and foster meaningful relationships with their counterparts in the Middle School Kaleidoscope club. Morristown-Beard School is dedicated to supporting and inspiring girls. Upper School members of GLOW hold discussions, facilitate gender workshops for students in the Middle School, and offer school-wide forums to increase awareness on topics such as domestic violence, consent, the influence of social media, and women in the workforce. Some of GLOW's recent events have included hosting successful female politicians and business people, and organizing a 5K on campus to benefit the United Nation's "Girl Up" initiative. Mental Health Matters is a club designed to increase awareness of and reduce stigma around mental health. Mindfulness is an integral component of our educational philosophy and students are encouraged to practice mindfulness techniques to promote balance, a feel of calm, and reduce anxiety. The club is student-led, but facilitated by one of our on-campus guidance counselors. Gay/Straight Alliance hosts "Kicking the Stigma"